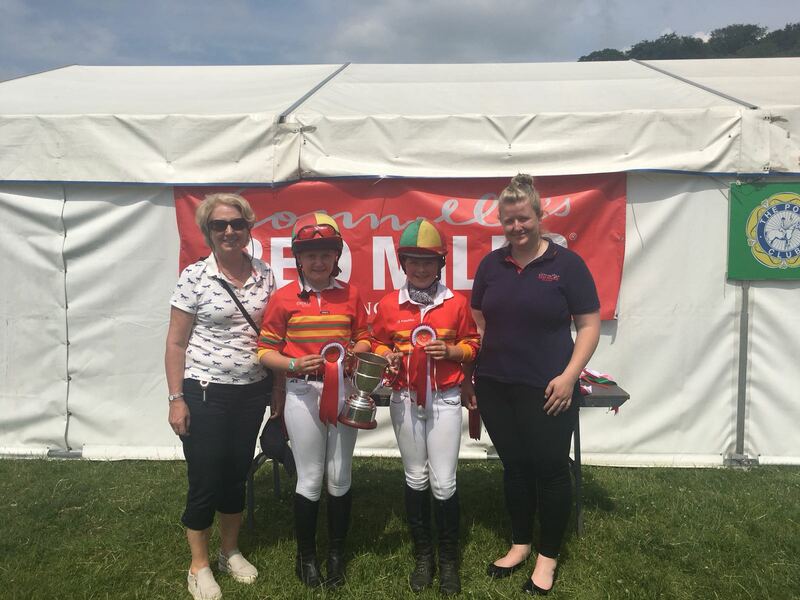 Connolly’s RED MILLS have been great supporters of the Irish Pony Club down through the years and this year they extended their generous sponsorship to include the new Under 12 Team Eventing Championship for the Broomfield Cup. Last weekend, at the first Connolly’s RED MILLS One Day Eventing Qualifier of the year, hosted by Carlow Hunt Branch, the Irish Pony Club and Connolly’s RED MILLS launched the new Under 12 Team Championship. Lauren Cushe from Connolly’s RED Mills, joined Dr. Marina Brennan (IPC Chairman of Eventing), Ivan Hatton and David Burgess (Joint DC’s Carlow Hunt Branch) and William Grogan (Carlow Hunt Branch Committee Member) to launch the championships. 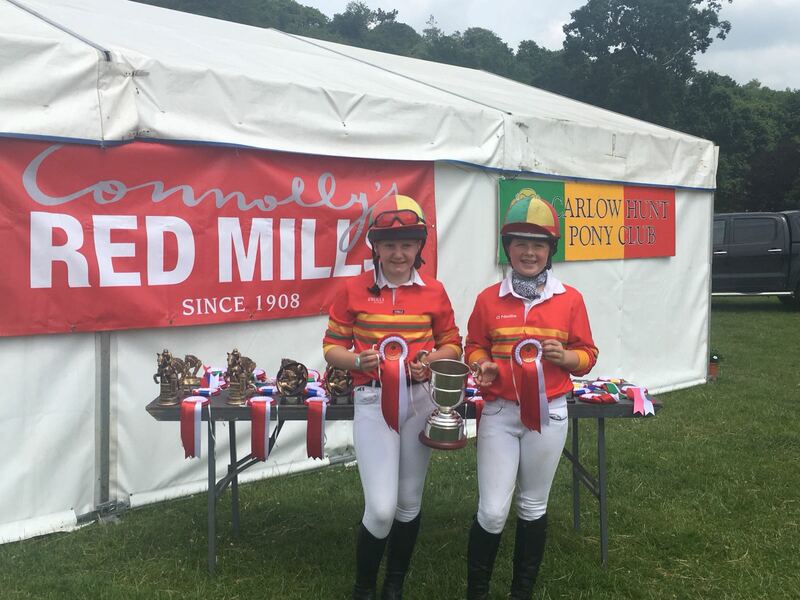 This is the first year of the Under 12 Team Championship and all at the Irish Pony Club are delighted that Connolly’s RED MILLS have extended their sponsorship to include this new, exciting championship. The qualifier was attended by Lady Celia Carew (President of the Irish Pony Club). Lady Carew wished all the competitors who will compete in the new Connolly’s RED MILLS Under 12 Team Championship the very best of luck. We would like to extend our sincere thanks to Jane Davis, John Cahill and Lauren from Connolly’s RED MILLS for all of their assistance to date and we look forward to continuing to develop this successful partnership into the future. This year the 2018 Connolly’s RED MILLS Eventing Championships will take place in Ballindenisk on Saturday and Sunday 18th and 19th of August. Good luck to all IPC Members who will be competing throughout the summer. “Once again we are looking forward to a very competitive and exciting season. We wish all competitors the very best of luck and we look forward to meeting many of them over the course of the summer,” she added.